Ben Swift could have been forgiven for staying away from the Hisense arena last week. 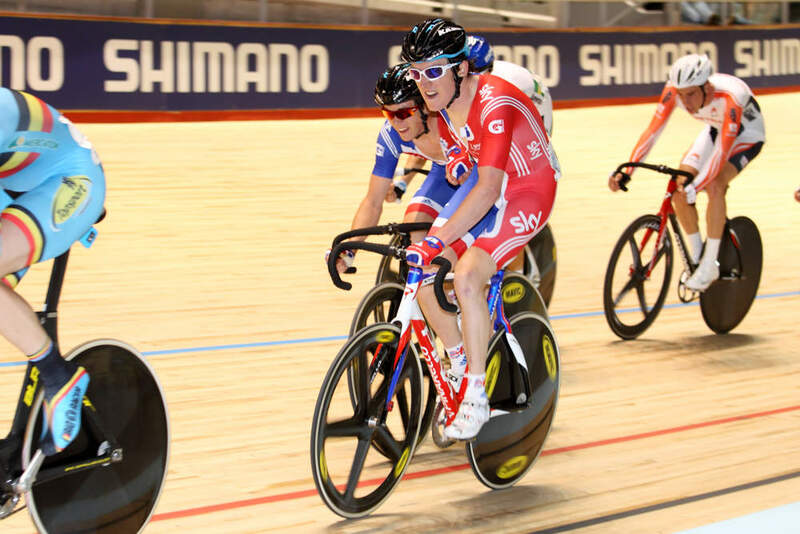 The Team Sky rider has forsaken a season on the road to try and make it in the British team pursuit squad. He is one of six riders vying for the four spots, but such is the strength in depth that he, a winner of WorldTour-level races, was quick enough to get in the team. Swift, or Swifty as everyone on the team calls him, however is a track racer through and through. He was riding races on the track almost as soon as he could walk. 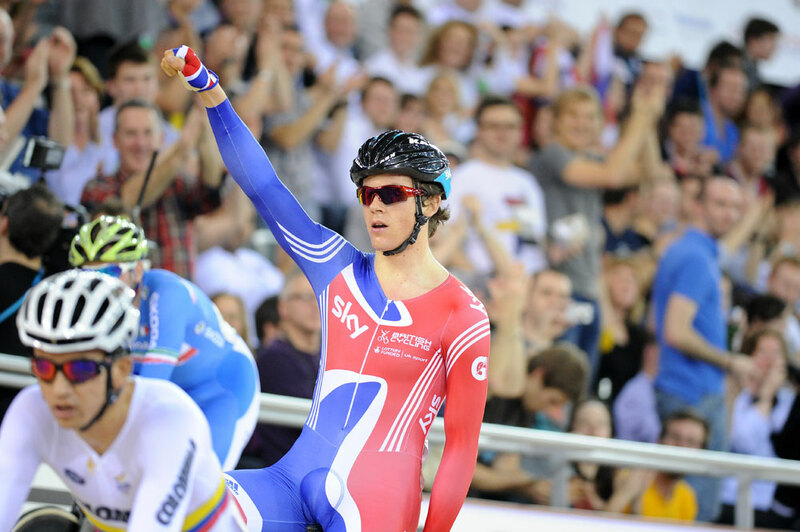 Just minutes after Great Britain won the team pursuit that he wanted to be riding in, he was up on the track winning the scratch race. But Swift wasn’t finished yet. He took his good form from his TP training and put it to use in the points race. The only problem was he was up against Cameron Meyer. 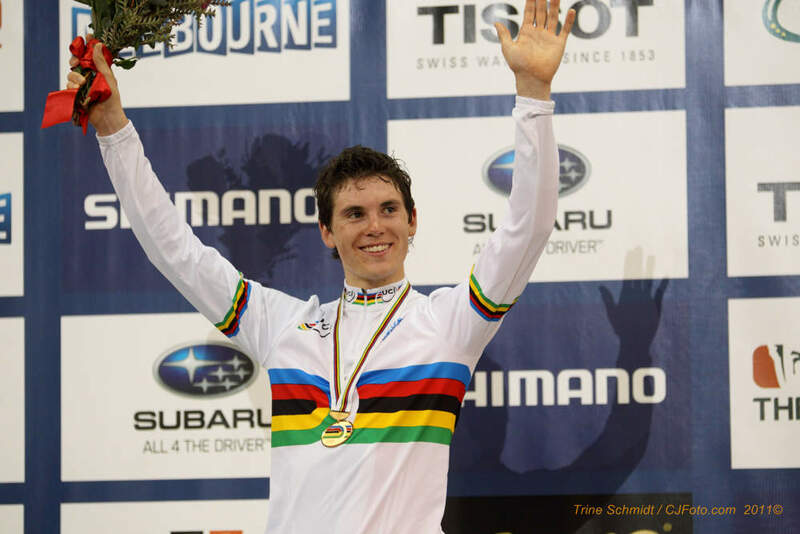 The Australian completely demolished the points race field at the 2010 World Champs, and still won silver last year despite having the whole field mark his every move. Meyer only beat Swift by one point and did it by gaining a lap in the final minutes of the race. All of Swifts points came from sprints as he scored in 10 out of 16, winning four of those, including the final one. Gracious in defeat, Swift admitted that Meyer gaining the lap was what allowed him to win the final sprint (Swift was away on his own, chasing Meyer, when the Australian caught the bunch Swift was suddenly the front of the race, and so won the sprint) and had he not done that, Kenny De Ketele of Belgium would have won. A gold and a silver would be a very respectable haul for one World Championships, but Swift wasn’t finished yet. On the final night he was back in action in the Madison. Partnered by Geraint Thomas they had to somehow find away of beating Cameron Meyer and Leigh Howard – winners of the event for the last two years. Swift saved the pair’s race during Thomas’s bad patch, as they gained the crucial lap on the field just after Meyer and Howard had gained a lap. Although Swift was able to coax Thomas through and keep an eye on the Aussie pairing, he couldn’t control to the Belgian paring of De Ketele and Gijs Van Hoecke, who were also riding well. Eventually the Belgians ended the race on top, with Swift and Thomas in second. Meyer and Howard took the bronze. Swift’s medal haul of a gold and two silvers is the best-ever in bunch races for a British male athlete. He will now ride the Giro d’Italia, along with Thomas and Peter Kennaugh, before deciding whether or not he will stay within the team pursuit squad for the Olympics.